Known for dramatic landscapes and bright blue waters, the French Polynesia Islands are the epitome of a tropical island honeymoon. The 118 islands and atolls span five archipelagos in the South Pacific. They offer just about every water sport you can imagine and the lush interiors are home to hidden waterfalls and pools. With overwater bungalows (where you can watch the fish below your feet), coral-filled lagoons, black pearls, and a bit of French flair mixed in, the Polynesian islands are an idyllic location for a honeymoon. Tahiti, Bora Bora, and Moorea are the most popular islands and offer the most amenities. If you’re looking for a true unplugged honeymoon, consider the island of Rangiroa. While Tahiti is the largest island in the French Polynesia, it is no less romantic. Couples can hole up in secluded resorts, lounge along dark sand beaches and sample world-class French cuisine in Papeete, the island’s capital. To experience its rugged side, climb Mont Orohena. If golf is on your itinerary, Tahiti is home to the only golf course on the islands. Bora Bora is perhaps one of the most recognized islands in the world, with its mountainous island rising from the water. Most of the lodging is found on the smaller, flat islands that encircle this island – offering extremely beautiful views back at the mountain. Bora Bora offers great hiking and historic World War II sites as well as plenty of water and beach activities. 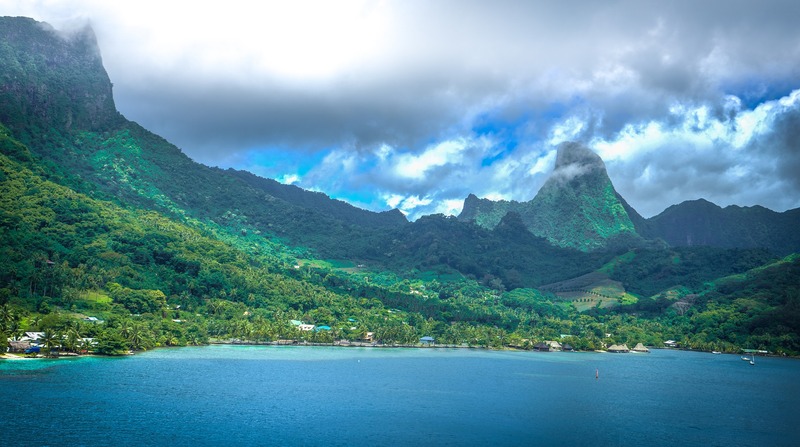 Considered the most rugged of the islands, Moorea is a wonderful choice if you like hiking and horseback riding. It is also one of the larger islands giving you a wide variety of dining and entertainment options. Moorea offers a full range of watersports, including submarine excursions! If you want a completely unplugged honeymoon, consider the island of Rangiroa. It is a small, uncomplicated island – great for those who like to scuba dive. Rangiroa offers terrific accommodations, including the breathtaking Kia Ora Sauvage resort. You won’t have any electricity, but you will be pampered in other ways! Romantic Outing: Make arrangements with your resort or hotel to be dropped off for a romantic just-the-two-of-you picnic on one of the many uninhabited islets. Staying Connected – With a Honeymoon Bonus! No matter which island you choose for your honeymoon destination, Wireless Traveler can help you stay connected. 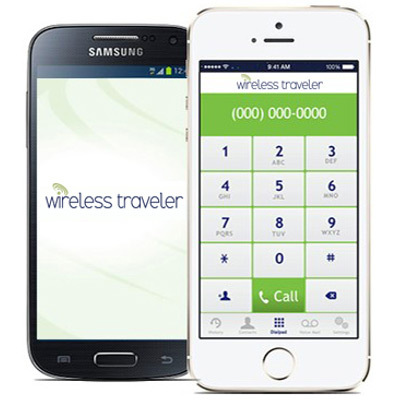 Download the Wireless Traveler App from iTunes or Google Play on both of your phones. Once you have set up your account on the Wireless Traveler web site, we will gift you 8 hours of free calling! Simply mention our Honeymoon Special. To post pictures and video of your honeymoon, rent (or purchase) a high speed Pocket WiFi and select a data program that best fits your needs.